PPL’s annual Creative Fellowship, founded in 2014, provides an opportunity for a local artist to create new work based upon, utilizing, or inspired by materials in and images from our Special Collections. The Creative Fellowship lasts 6-8 months, coinciding in topic and timing with the Library’s annual exhibition and program series. Each year’s fellowship focuses on artists working in a specified discipline, rotating between visual art, performance, writing, and music/sound on a four-year cycle. The fellow receives a stipend, funds to help cover the cost of project materials, and intensive research support. Laura Brown-Lavoie is a Providence resident, a farmer and a poet. Her writing is vibrant, gutsy, and deeply rooted in place. 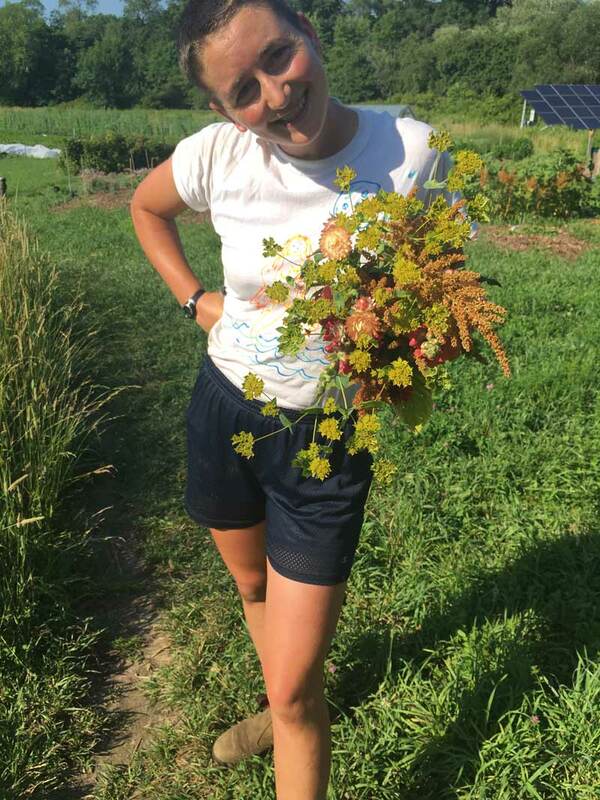 As someone who grows food in a formerly vacant city lot, she has a unique perspective on pre- and post-industrial ecology, as well as the literal and figurative archaeology involved in research, writing, uncovering history, and creating new work (and new vegetables). The call for proposals is issued in August, with applications due in October. The 2019 Creative Fellowship call for proposals is currently closed. Upcoming calls will be posted on this web page, in the Library’s newsletter, on Library social media, and distributed through various local listservs and arts organizations. a CV, résumé, or narrative description of experience. Feel free to contact us with questions about the Creative Fellowship. Becci Davis (2018) created a three-part, outdoor performance about Black hair entitled “Private Proclamations” and performed it on the Library’s Washington Street steps as part of PVDFest. She also developed an interactive art performance called “Beacon Beauty Shop” and gave an artist’s talk about her research process. Micah Salkind (2015), our inaugural Creative Fellow, worked with the Fiske Harris Collection of Civil War song sheets to extend the history of anti-racist anthems into the Civil War era. He wrote an issue of the Special Collections publication “Occasional Nuggets” on the racial types used in the woodblock printing of broadsheets published by New York's Henry Marsan Publishers, and his father printed and sewed the issues’ covers. Keri King (2017) created a full-color, 8’x8’ mural of an al fresco dinner party using analog and digital collage techniques. Her mural incorporated scanned images from our collections and remains on permanent display at the Library. Keri also hosted a collage workshop for youth and adults.